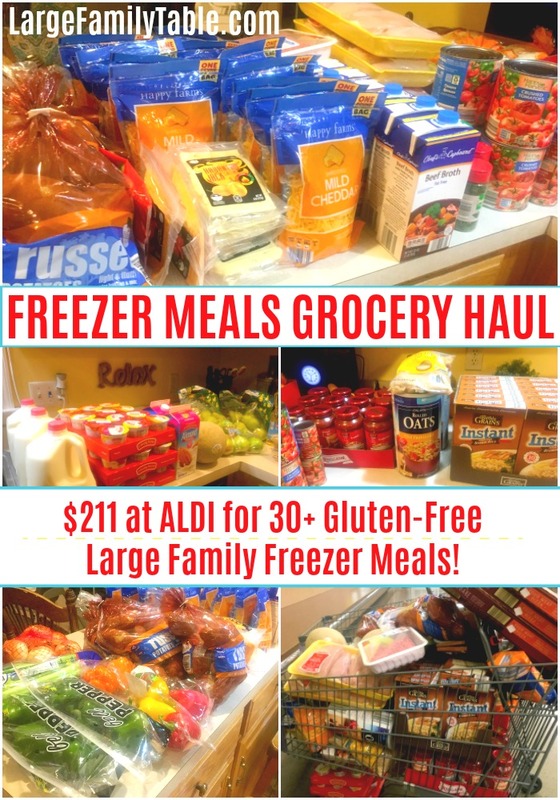 FREEZER MEALS GROCERY HAUL:$211 at ALDI for 30+ Gluten-Free Large Family Freezer Meals! I haven’t been into an ALDI for large family grocery shopping in quite some time. 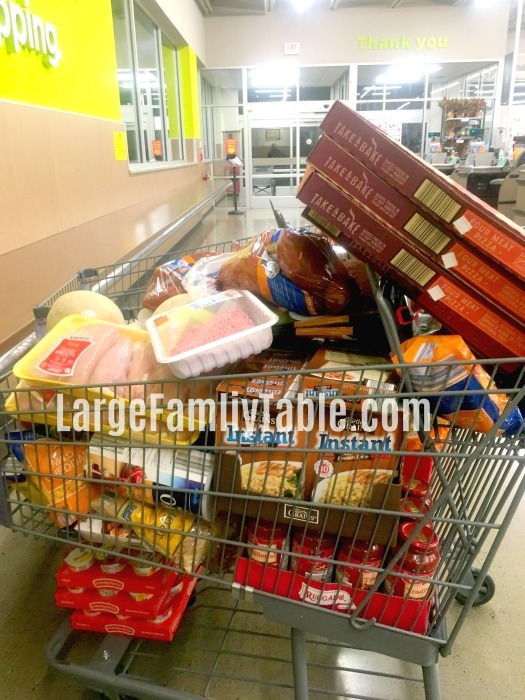 A freezer meals grocery haul is a great reason to go back to Aldi. 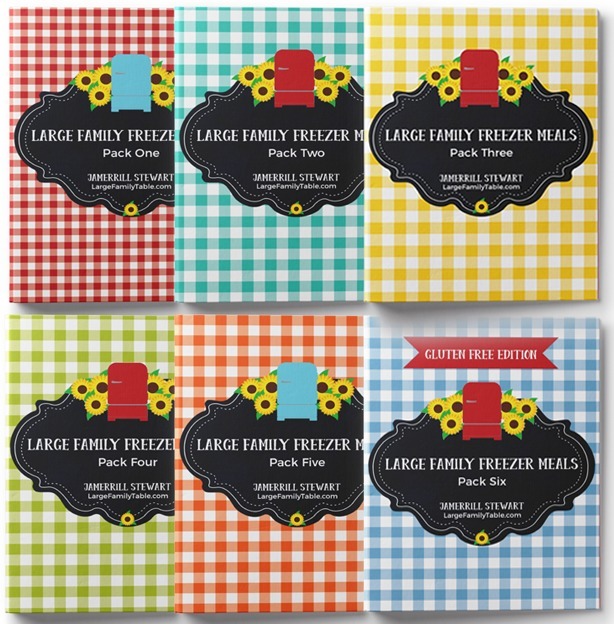 I’m cooking up over 30 Gluten-Free Freezer Meals from the brand new Large Family Freezer Meals Pack Six in the super discounted Large Family Freezer Meal Collection. I was able to get all the groceries I needed to cook up the special gluten-free edition pack six for $211. A few of the needed freezer meal grocery items I had on hand, but most items I still needed to get at ALDI. I spent another $86 on needed household groceries beyond the 30+ freezer meals. These big family freezer meals make a ton and include freezer meal recipes such as slow cooker chicken parm, turkey burgers, and more. You can always order just about everything you need for freezer cooking from Walmart grocery pick-up. I used that service for several of my past freezer cooking days. I love Walmart, believe me! But there were just lots of little things missing from my last few grocery orders. I figured I could go into Aldi and get what I need in under an hour. I was right! I loaded up my cart and was in and out in fairly quickly. The best part is I didn’t have to send my husband back to the store several times to get additional items. I still love Walmart grocery pick up over all and will use it again in the near future, I am sure. You can see my entire freezer meals grocery haul here on YouTube. 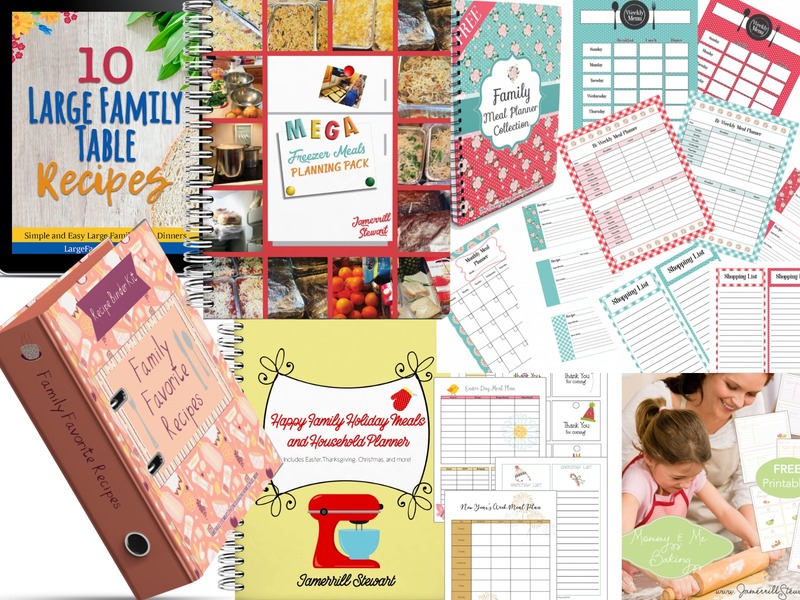 In addition to all the items for freezer meals, and some needed household fill-in groceries, you can see a few kitchen storage and baking tools I snagged at Aldi, too! 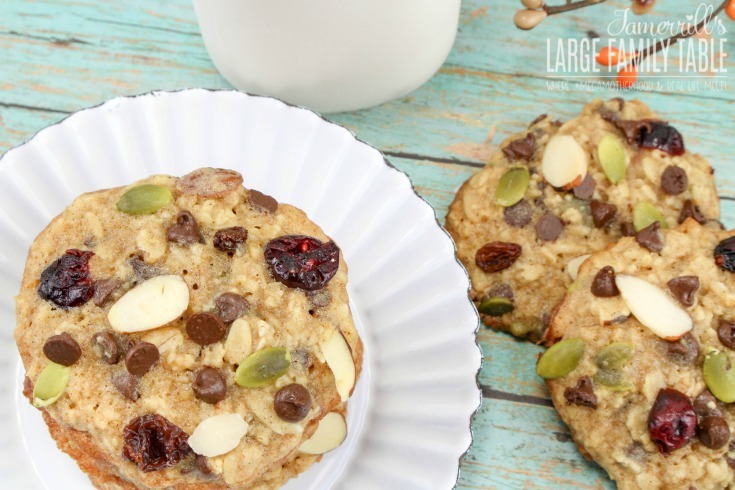 These homemade trail mix cookies are soft and chewy and packed full of protein. They’re perfect for an afternoon snack or a tasty dessert. Whether you’re headed out on a family hike or needing a healthy snack to tide the kids over until dinner, this homemade cookie recipe is just what you need! Whip up a batch on the weekend, and your family can munch on them all week long. I love being able to treat my kids to homemade baked goods. It’s even better when those treats are actually healthy for them, too. 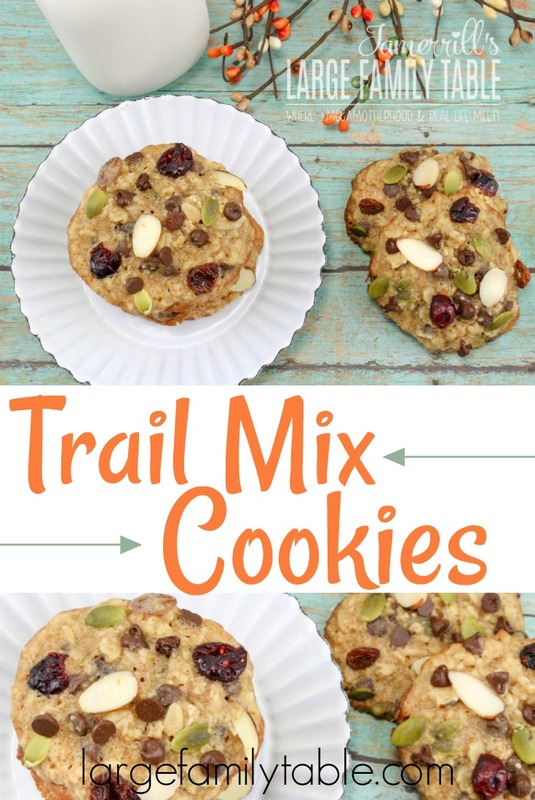 If you’re looking for a healthy cookie you can serve your family without the guilt, scroll down for the recipe for homemade trail mix cookies. They’ll be so glad you did! DO NOT bake on an airbake cookie sheet. The cookies will not turn out right. Use a regular cookie sheet for these cookies. 2. In a medium bowl, add the butter, brown sugar, and honey. With your mixer, beat on medium speed for about 2-3 minutes or until creamy. 3. Add egg and vanilla. Continue to beat until combined. 4. In a separate bowl, add the oats, flour, baking powder, salt, and cinnamon. Mix together, then add to the wet ingredients and mix until well combined. 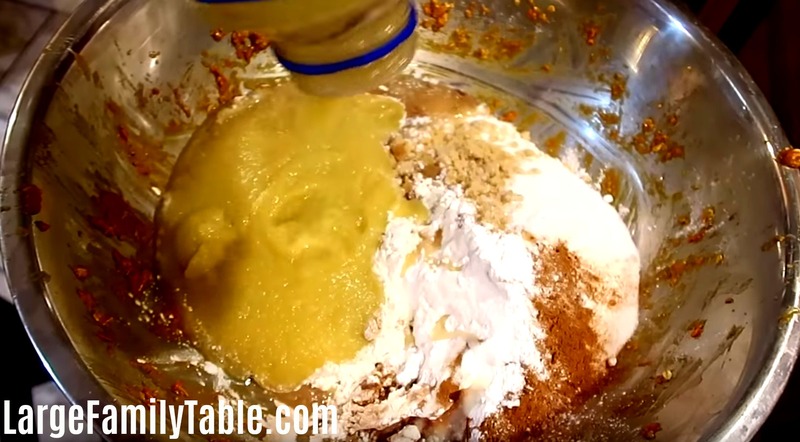 You can use a spoon or your mixer to mix. 5. Once mixed, add some of the cranberries, chocolate chips, almonds, pumpkin seeds, and raisins. Save a little of each ingredient to place on top of the cookie. Mix with a spoon until combined. 6. With a 3-inch cookie scoop (or spoon), scoop 8 cookies and place on a cookie sheet lined with parchment paper. Press down to flatten just a little bit. Don’t flatten too much. Press in a few more pieces of the trail mix ingredients that you saved back. This step is optional. It just makes for a prettier cookie. 7. Bake for 8-10 minutes or until the edges are golden brown and the middle is still slightly soft. Take out, and leave them on the cookie sheet to cool. This will finish the baking process, and you’ll have a perfect chewy cookie. **DO NOT bake on an airbake cookie sheets. The cookies will not come out right. Use regular cookie sheets. A healthy treat you can serve your family any time! If you’re looking for more cookie recipes, be sure to check out my recipes for peanut butter chocolate chip cookies, homemade oatmeal raisin cookies, and no-bake chocolate oatmeal cookies. 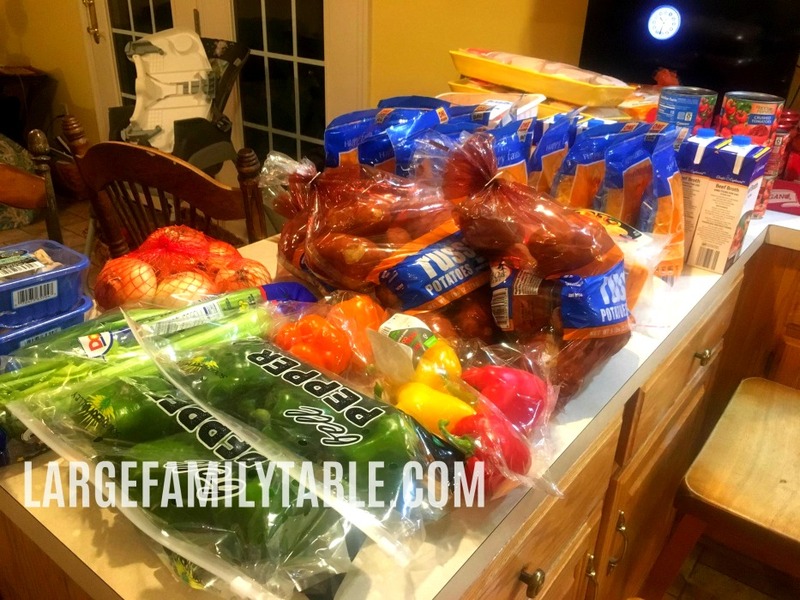 A few weeks ago I took an afternoon to cook up about 25 easy breakfast freezer meals for my large family. 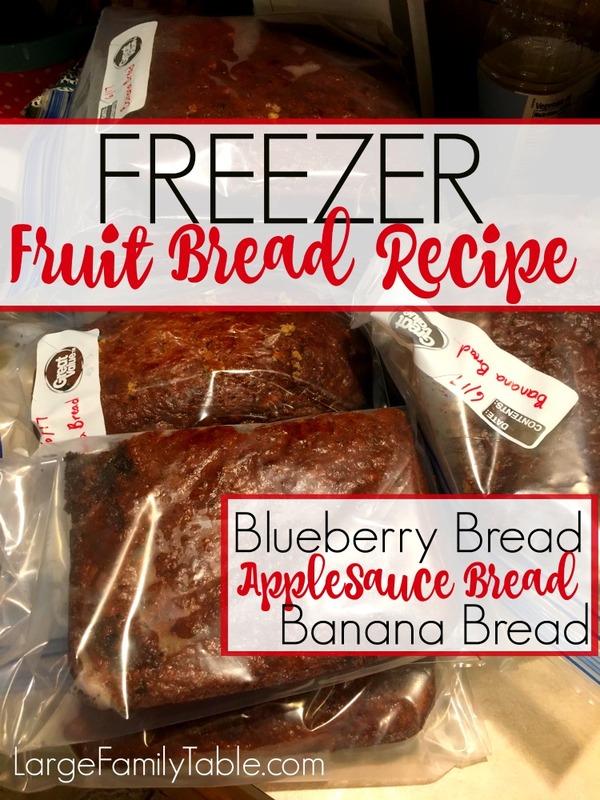 I was leaving to go to on a trip to California with my two oldest sons and wanted our large family freezer jam packed with easy freezer meals before I left. I don’t travel often without my entire family, but I had a slew of work-related trips and adventures this fall. Whether I’m on the road with my family or home covered in babies and books while up to my eyeballs in homeschooling, having a bunch of freezer meals for breakfast is always appreciated. I have the 8 new breakfast recipes for large families to share with you today. I made 16 dozen breakfast cookies, 12 dozen muffins, 6 dozen pancakes, 50 make ahead breakfast sandwiches, and 24 dozen french toast sticks. 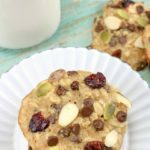 Three BIG Breakfast Cookie Recipes | Make Ahead Breakfast Freezer Meals – here are the recipes to make 4 dozen each of BIG Cran-Carrot Breakfast Cookies, BIG Cherry Nut Spice Breakfast Cookies and BIG Peanut Butter Banana Breakfast Cookies. This is a total of 12 dozen breakfast cookies which equals 6-9 breakfasts for our crew. Just add a glass of milk and a yogurt! 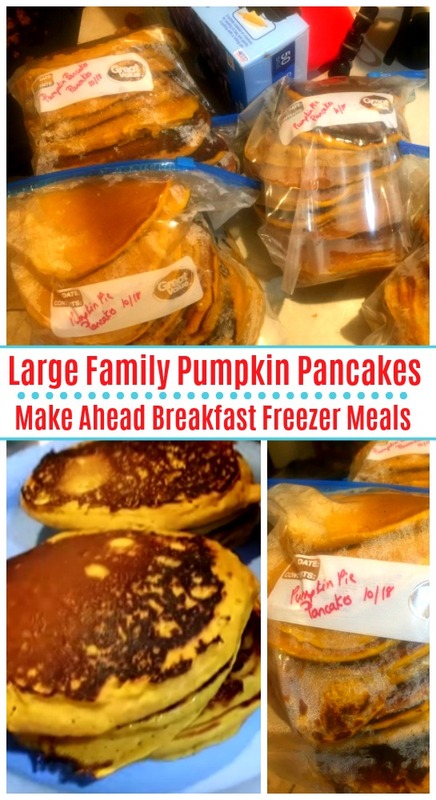 Here’s the new 25+ Breakfast MAKE AHEAD FREEZER MEALS | Breakfast Cookies, Pumpkin Pancakes, French Toast Sticks! video on YouTube. You can see all of these new breakfast freezer meals in action! 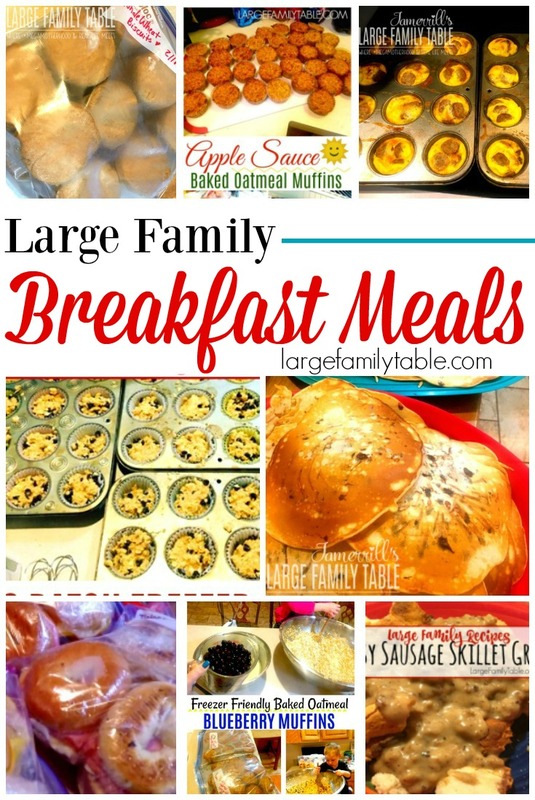 Here are more large family breakfast recipes! 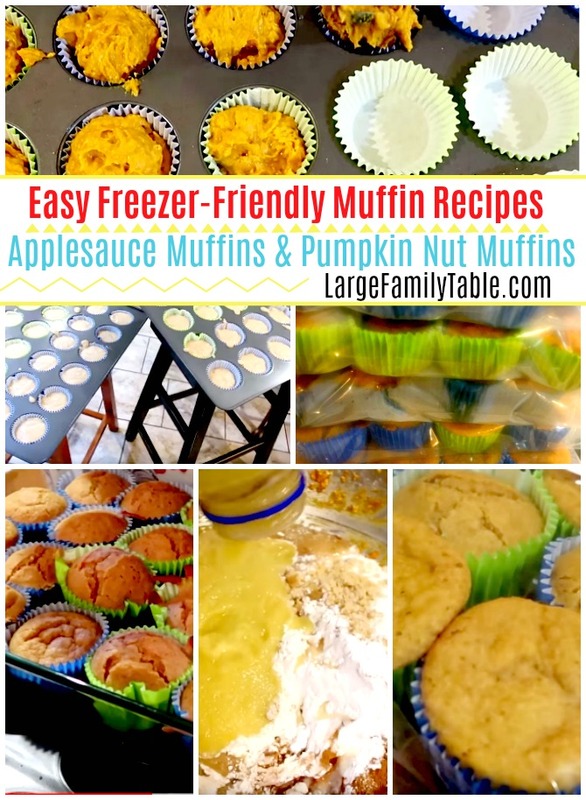 I’ve been sharing my applesauce muffins in various freezer meal videos over the years. Today, finally – praise the Lord and pass the chicken, I’ve written out my most recent recipe for applesauce muffins. I’ve also included my Pumpkin Nut Muffins recipe. On my last freezer cooking day where I made 25+ Make Ahead Breakfast Freezer Meals I made 4 dozen applesauce muffins and 4 dozen pumpkin nut muffins. My family have eaten these for quick large family breakfasts and as a fun snack. My people love muffins. 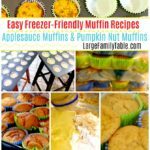 If you have muffin loving folks as well then this applesauce muffin recipe and pumpkin nut muffin recipe are for you to cook in bulk and fill your freezer. Are you looking for the easy freezer-friendly muffin recipes? 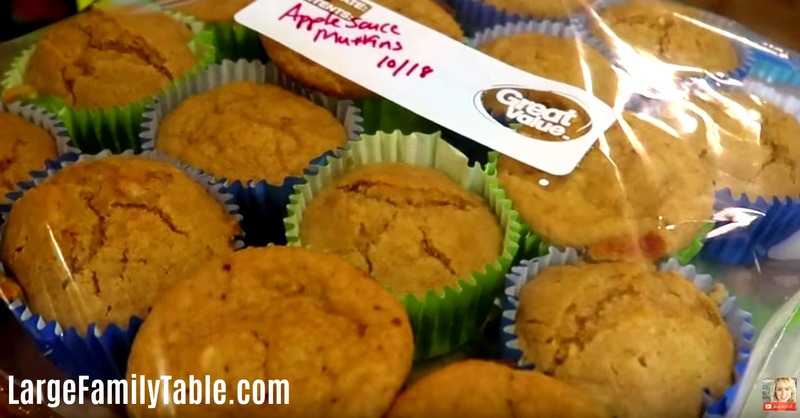 Look no further with this applesauce muffin recipe and pumpkin nut muffin recipe. These muffin recipes make 6 dozen each and work wonderfully frozen for later. Choose which muffin recipe you are making, either applesauce muffins or pumpkin nut muffins. Completely mix muffin ingredients in large mixing bowl. Bake in preheated oven at 375 degrees for 20-25 minutes. See these 12 dozen muffins made in this freezer cooking video! Let muffins cool completely upon baking. Place muffins in labeled gallon-size freezer bag for up to 3 months. When you’d like muffins just set the frozen bag of muffins out from the freezer into the refrigerator the day before. Once muffins are defrosted eat as usual and enjoy! This large family recipe makes 6 dozen thick pumpkin pancakes! My children love these pumpkin pancakes with syrup and butter. 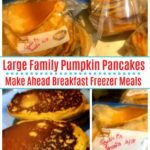 I hope your family enjoys these large family pumpkin pancakes, too! Fully mix all pumpkin pancake ingredients in large mixing bowl. Cook pancakes on griddle or stovetop. I used two griddles and cooked six medium sized pancakes at one time. Allow pancakes to cool after cooking. Place in labeled gallon size freezer bags and place in freezer for up to six months. Set out your bag of frozen pumpkin pancakes from the freezer into the refrigerator the day before you need them. On breakfast morning just microwave your pancakes for a few minutes! Sometimes I’ll microwave 5-6 pancakes at a time, sometimes just 2-3. Microwave temps and times may vary. Start with the lowest time (example: 30 seconds for one pancake) possible and add a few more seconds if needed. Some freezer cooking moms place a layer of parchment paper in-between each pancake to be able to pull out just a few pancakes at a time. I don’t personally do this because I always need the entire gallon bag full for a large family breakfast.